Enterprises have enormous stores of data and information, but bringing it all together into one complete picture and surfacing insights from within it is challenging. The data and information that matters most to enterprises exists across disconnected silos and comes in a variety of media and formats. 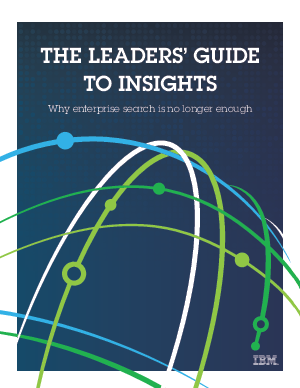 The purpose of this executive brief is to explore the challenges companies face in implementing enterprise search and to offer a new, robust set of technologies to help.